A “perfect storm” of dental disease could be brewing for your teenager undergoing orthodontic treatment. 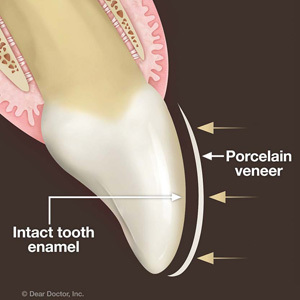 As braces or other appliances complicate hygiene efforts, newly erupted permanent teeth and changing hormone levels could also increase their susceptibility to tooth decay or gum disease. 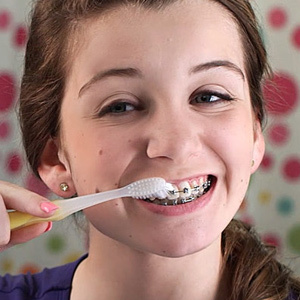 Here are a few tips for helping your teenager maintain healthy teeth and gums while wearing braces. Eat a Healthy Diet. Nutrition is a key component in a healthy mouth. Your teenager should eat a diet low in sugar, a key food source for bacteria that cause dental disease, and acidic foods and beverages that cause enamel erosion. Limit between-meal snacks to only a few times a day and drink acidic beverages only at mealtime. Brush all Tooth and Gum Surfaces. For patients who wear braces, it’s important to thoroughly brush above and below the wire running through the affixed brackets. Holding the brush at a 45-degree angle, brush between the wire and gums all the way around both the upper and lower jaws, then repeat the same technique brushing surfaces below the wire. Clean Between Teeth. Flossing can be difficult while wearing braces, but plaque removal from between teeth is necessary for healthier teeth and gums. Orthodontic patients can benefit from special flossing tools like floss threaders, small interdental brushes or irrigators that remove plaque with sprayed water under pressure. Incorporate Fluoride into Your Dental Care. A proven decay-fighter, fluoride strengthens enamel against erosion and infection. In addition to hygiene products and many drinking water systems, we can also supplement fluoride through gels or varnishes applied to the teeth during office visits, as well as prescription toothpastes or rinses with higher levels of fluoride for patients at higher risk of dental disease. Use an Antibacterial Mouthrinse. Orthodontic patients with gingivitis (gum inflammation) or other bacterial-induced conditions may benefit from over-the-counter or prescribed antibacterial mouthrinses. Maintaining an orthodontic patient’s teeth and gums can be difficult, but not impossible. A little extra attention — along with regular office cleanings and checkups — will go a long way in preventing dental disease.